Perfect for those who don’t mind the quietness, for those who want to run away from the crowd and enjoy their own paradise:) The beach looks stunning, though the waves are sometimes too harsh for swimming, be careful! Otherwise it’s very clean and almost empty for you to feel like you’re on a private tropical island. The sand is beautifully tiny and pleasant to walk on, the bottom of the sea is perfectly safe, no corals. When it was too windy we would easily walk to the neighbouring Tong Nai Pan Yai beach – not as pretty, but without waves. The hotel itself is amazingly cosy and has everything one might need, the quality is great for this price! The reception closes at 9 and the stuff is sometimes sleepy or just absent, but all in all nice, friendly and laid back. We absolutely loved the massage service by the beach, thank you so much for an hour in heaven – must try! The pool is pretty, the breakfasts are sufficient and well made (though not a buffet – just several sets for you to choose, including a fried egg, an omelette, muesli, chicken soup, and other stuff like toasts, fruits and juice – makes you feel full for the rest of the day). The room was nicely cleaned every day, the beds were comfy (though there were no blanket covers – just two sheets and a blanket in between:) The bathroom and everything else was working perfectly well. We did feel like home and fell in love with this quiet paradise island. All in all, this resort is great for a budget hotel, we would recommend it to friends. Classic resort with bungalows right next to the beautiful beach. 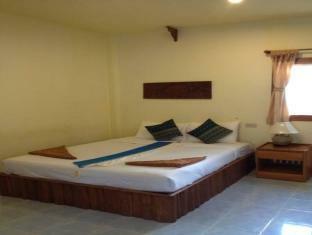 In comparison to other resorts of similar type, the staff has lax impression. Usually taciturn manager even say hello. Garden would have deserved better maintenance. As if resigned to the existence of neighboring luxury inpersonal hotels, becoming infested all islands. The fabulous beach , good rooms and good value. 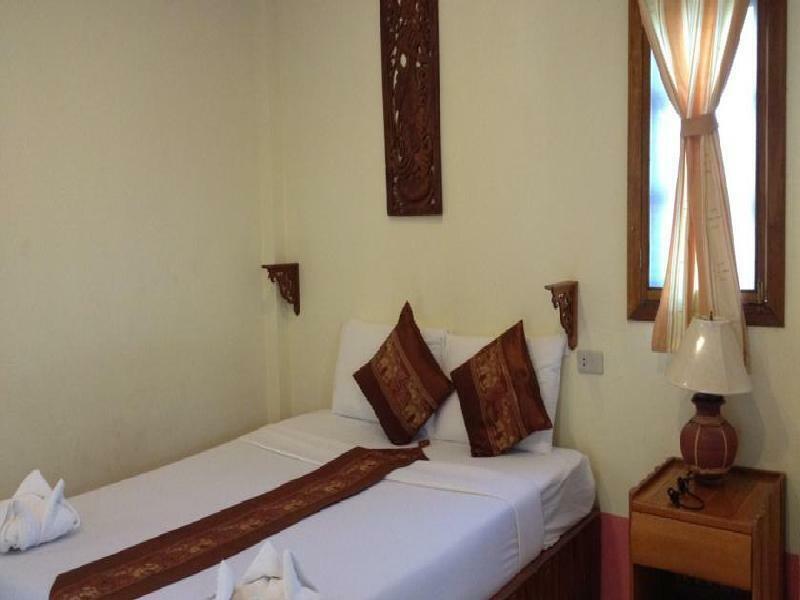 I have stayed at Phuwadee several times over the years. 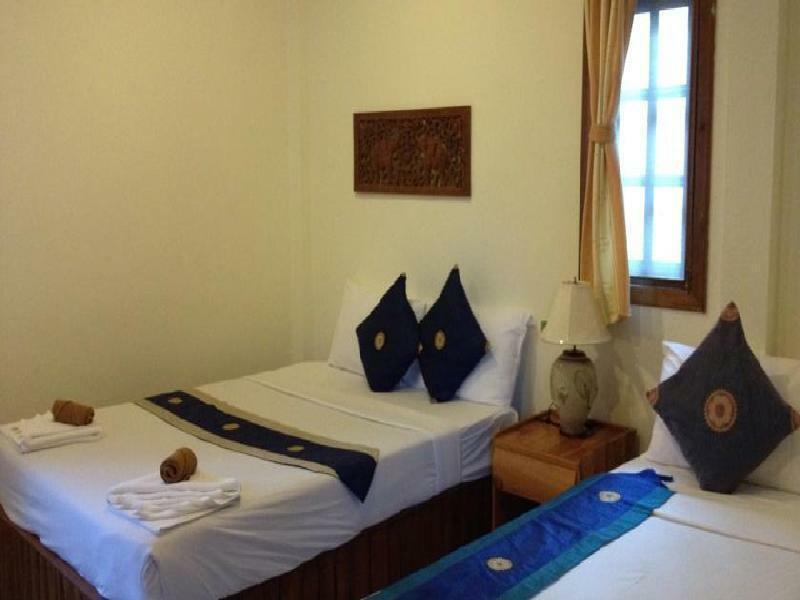 They have agreat spot in the middle of the wonderful Tong Nai Pan beach, The rooms are good value , clean and tidy , and good size for there cost. It was a nice stay for two days. huge bungalow, but now breakfast included. The beach wasnt really for me, as some waves. I prefer a good long swim.As I went to the fullmoonparty it was 50 minutes away from haad rin by pickup. so, rather expensive for the transport back and forward. but that was my own wrong decission. pool very small. but generally I would book it again for 2-3 nights. nice walkings around the area and even nice good local restaurants. thong nai pan noi is a most beautiful place, well worth the drive or boatride if you want to stay and relax and enjoy the surrounding area. phuwadee sits right in the middle of the beach, with beach dining in the restaurant which serves very tasty food, the pad thai was very good. the pool is smallish but you dont need it as the ocean is deep enough and clean enough to swim in which is wonderful. given the price paid, our room was very good - spacious, all the mod cons, airconditioner, fridge, safetybox etc - a nice verandah in the garden with butterflies everywhere and a view down the path to the ocean. the village is lovely - get your minimart supplies from snoop shop, the rasta baby has great views from the hammocks and the luna has beautiful french cuisine, the orange duck was delicious. we enjoyed our stay and will return to thong nai pan noi - seeing that the pool is not necessary we may look at cheaper accommodation or we could go the other way and splurge at santhiya or others, but phuwadee is good middle of the range accommodation. Just next to the beach, nice and clean enough. Nice stuff, speaking good english. Reasonably priced compared to area generally. Far away from full moon party, so good for non-party people looking for more peacful place. I have now been to Phuwadee three times and I love love love it. It is like a little bit of heaven - quiet, peaceful with the most beautiful beach and it's excellent value for money. The rooms are clean and air conditioned. They are cleaned daily with new towels every day. Beach towels are also available. Sunbeds are provided and there is never a problem getting one. It's only a short walk to the 'town' which has shops and restaurants. Bamboo Hut, Jip Shop and Mrs Handsome, amongst others, all do gorgeous food and Rasta Baby is brilliant for a drink (or food). I have now been there once on my own, once with my husband and once with a friend and I've felt comfortable each time. Probably wouldn't go with young children (although people do) as there's not much for them to do apart from the beach and pool. Jet skiing is available and PADI instruction. 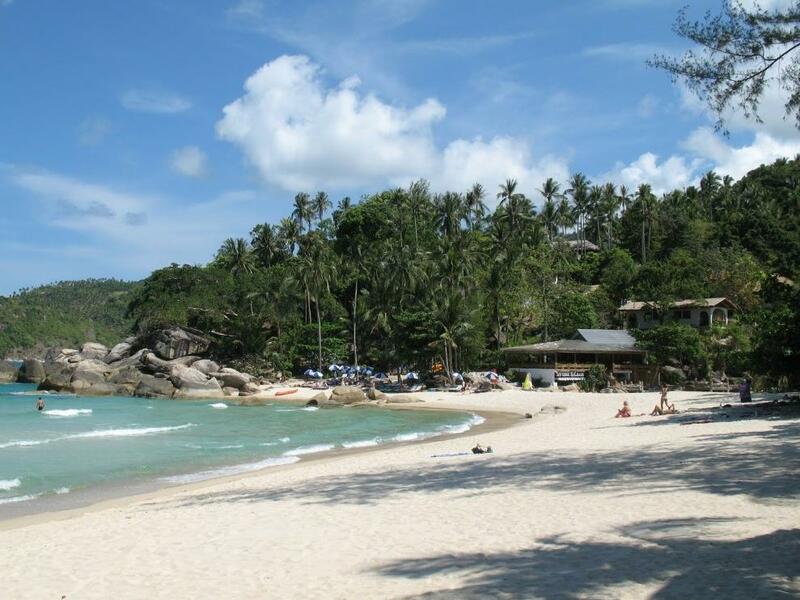 Also boats to Bottle Beach and Koh Samui leave from Thong Nai Pan Noi beach. I love this place and will probably go back, even though I keep saying I need to see more of the world! Location right on rhe beach,quiet surroundings. We had a good stay and if you want to be by the sea it is great and walking distant to bars and restaurants,(go to the La Luna restaurant).But although the bungalows are quite well equipped with WI-FI they are old and shabby,but clean and the shower good. Good value for money and in a great location but staff not that interested in making improvements. 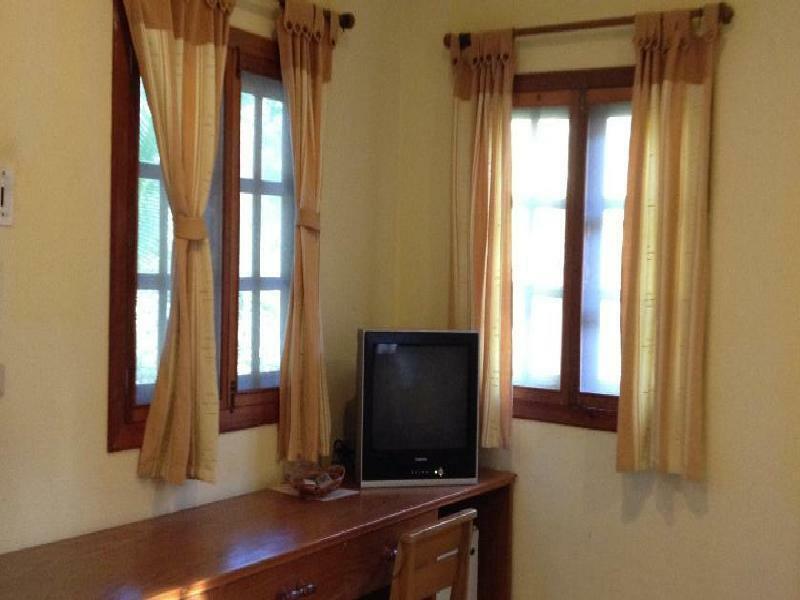 Location on beach, swimming pool, close to restaurants and shops. Perfect location on the beach, short walk to restaurants and shops. While not a high end resort, the bungalows are large with a lovely patio for sitting and watching people go by. The beach front bungalows are prime location! THe beds are fairly comfortable but internet was hit and miss. The staff was very attentive and were able to obtain discounts for the long taxi ride to the ferry terminal, even arranging for a 6:00 a.m. departure. The restaurant food was fair but overpriced. Much better choices in th village. The room with just the fan at this time was too hot for me. We later got a room with a conditioner and it was too cold for my wife. soo take it as you will. we have lots of experience with buying beer at the hotels bar and 2 times they cheated me. First they were telling me the beer was 100 baht. I thought "okay its a bar to a hotel". then i found out for that time it was 80 baht. they didn't give me my 20 baht back. and another time i went and this little guy thought he would be sneaky and i ask "how much" he said, "110 baht". i'm not quick to anger buy i did want to punch him in the face. that was the most negative experience. everything else was great. we sat on the beach all day and relaxed. the hotel is about 5-10 minute walk to the "shopping center" which isn't much. but there are restaurants there with good and really cheap food. do not plan to spend money on souvenirs there because it is all over priced. wait until your in bangkok. the hotel room is clean but i would recommend putting the room cleaning sign on your door handle everyday. if you are scared of frogs, toads, snakes, bats, or little lizards i dont know what to tell you. i'm not a small guy but we saw a toad the size of my fist on our deck, a snake "running" up a tree in front of my deck, and lizards in my room. i dont have a problem with them. but i should mention it. last but not least bring bug spray. this hotel does try to spray from misquotes but they find their way back. its not the hotels fault. so buy some bug spray (it saved my life more than once). the hotel is very nice and quiet. the pool is small but it is nice to swim in it when it is late and your feeling to lazy to walk to the beach. the massage crew there is excellent. if you will go to the full moon party (we honestly hated when all the young kids came). dont worry. they will all leave. but you must sit on the beach to see the moon rise. i've never seen anything like it. beautiful!!! (about 7:30 to 8:00). Location very good on the center of a lovely bay. We had a very good time here.The bungalows are fairly basic but spacious and clean.The air-conditioning machine a little noisy but apart from that everything was fine.Just a 5 minute walk to the village where there were some nice Thai restarants and shops.It is a 40 minute taxi ride from the ferry so not the most accessible beach on the island. The Phuwadee Resort is situated out of phangan, about 45 mins drive to the north of the phangan main stretch. There was no little restaurants or 7-11's outside the resort and so you either had to walk 20 mins to the nearest restaurant or catch a tuk tuk so if you couldn't be bothered doing this. The compulsory new year gala dinner seriously overpriced and is not good value. Nice hotel, beautiful beach, family hotel, very quiet and peaceful. Comforting place and room but not a real shower. Small and undelicate breakfast but excellent restaurant, expecially try the pizzas by the chef cooking them on the beach. The beach is really nice, not so expensive as the other hotels at the same beach. The rooms were basic but very clean. The food in the hotel a little expensive compared to restaurants in the small town. Two diving centers next to the beach where you can book small trips for snorkeling or diving. The staff as very nice. The beach is very calm (like a swimming pool) and never crowded, ideal for relaxation. The hotel offers thai massages just in front of the beach. We stayed for five days and we love the staying. The staff was friendly, the swimming pool good and the beach amazing. You can book day trips on the beach. Outside the hotel thare are restaurants, bars and everything you need. you find everything from shaky to swanky on thong nai pan noi. phuadee is middle of the road. we had a comfy stay. 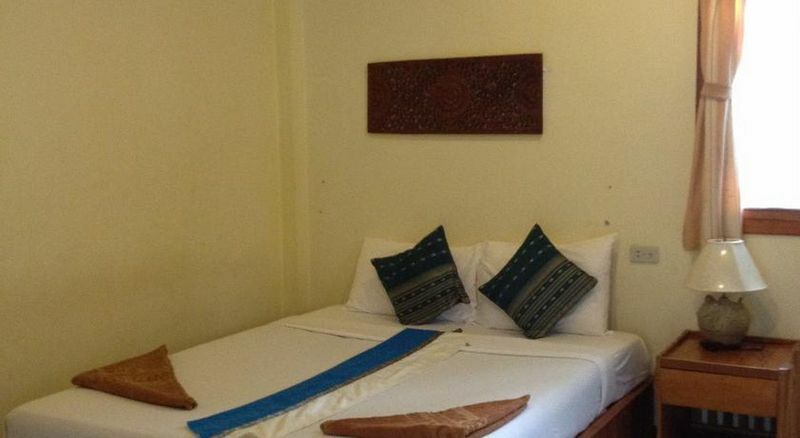 convenient since it is right on the beach and a five minute walk from the centre of town where there are restaurants and drinking places to go out at night. i recommend coming back by the beach at night to avoid the puddles on the access road which gets quite muddy after the rain. i have really enjoyed the pool as well, which i had to myself most of the time. the staff is very friendly.